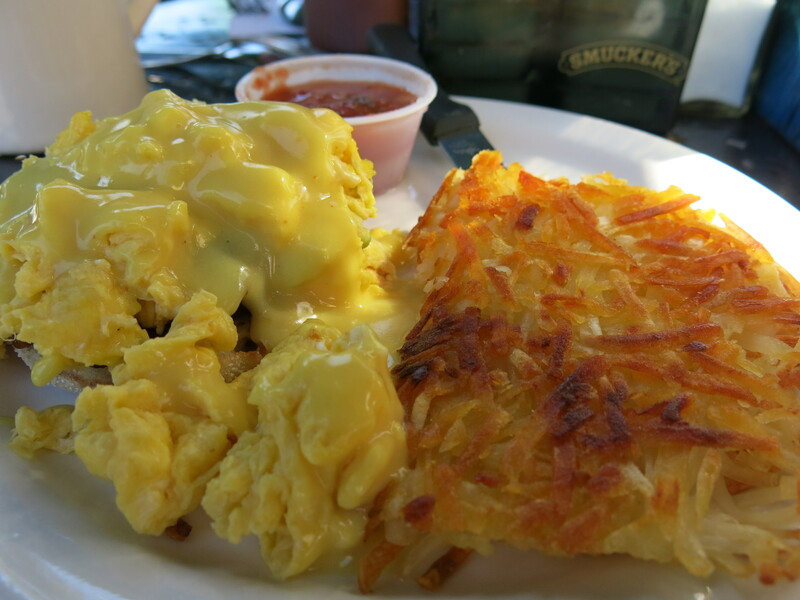 Sun, scrambled eggs and perfect crispy hash browns. Is there a more perfect breakfast? Take your time. Hang out. Have another cup of coffee and then wander down to the pier and watch the surfers catching waves. This is Southern California breakfast at its finest. Yes it’s in a strip mall. I know. Go anyway because the fish is fresh and you can sit outside. 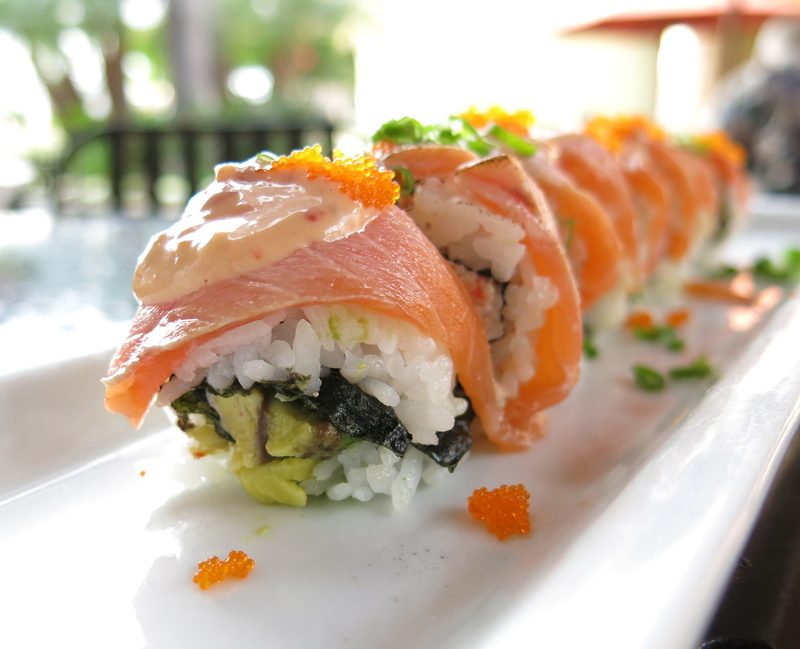 Plus sushi is the prettiest food you’ll ever put in your mouth. The thing I love most about the Southwest and Southern Cali is that you can get better Mexican food off a red plastic tray in a glorified taco truck than you get in most sit down restaurants up north. 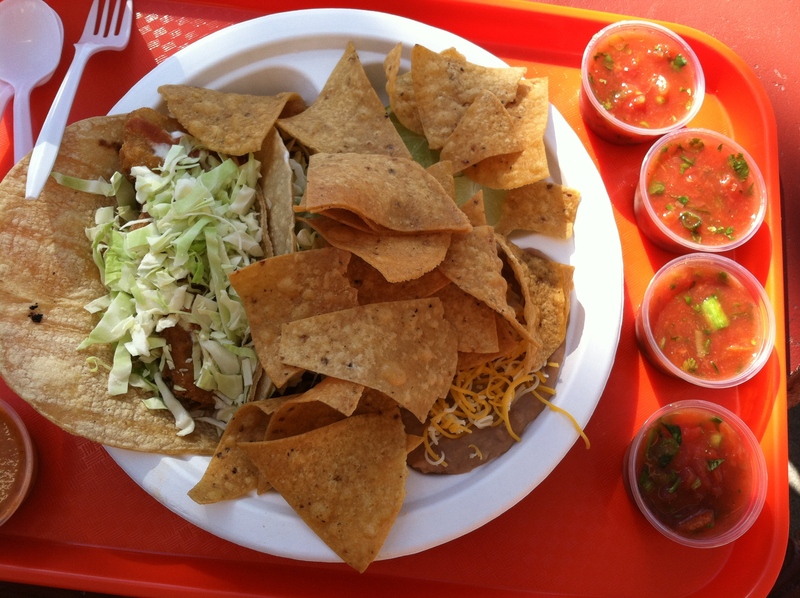 Cessy’s has great tacos. Get lots of salsa and go to town on the fresh hot chips. Lunch. Bam! How about dinner by the water on Harbor Island? 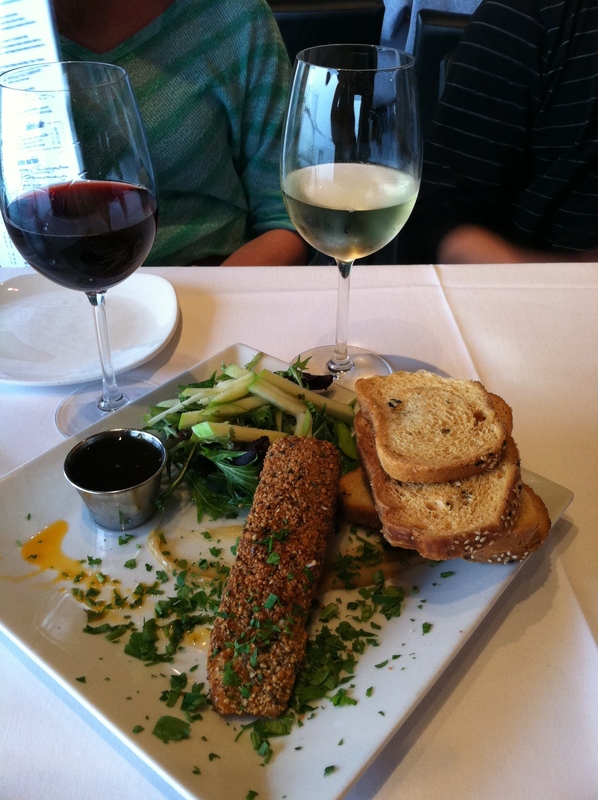 That’s macadamia nut encrusted baked brie from Island Prime – C Level. Yum. We had a table overlooking the water where we could see the boats sailing in the bay and at night you can see the San Diego city skyline. Island Prime serves classy food in a relaxed atmosphere. It’s classic California. 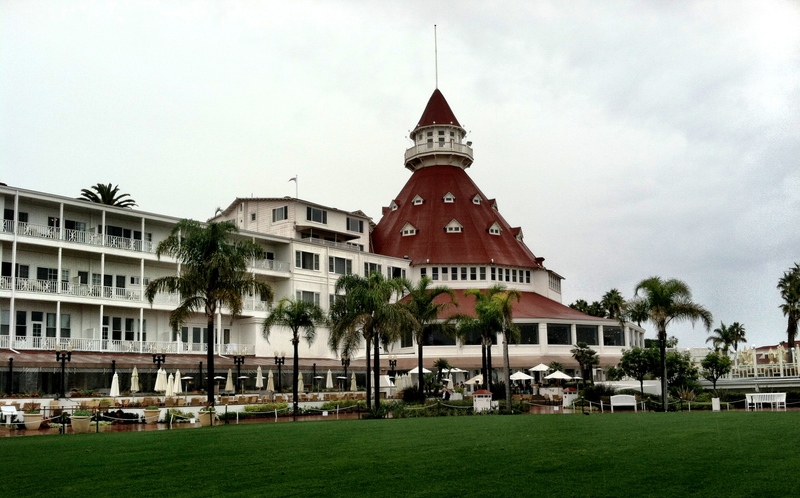 Stop at the Hotel del Coronado for drinks before you head home. A historic landmark with 125 years of rich California beach history, Hotel del Coronado has beautifully landscaped grounds and a gorgeous bar so it’s worth a visit. 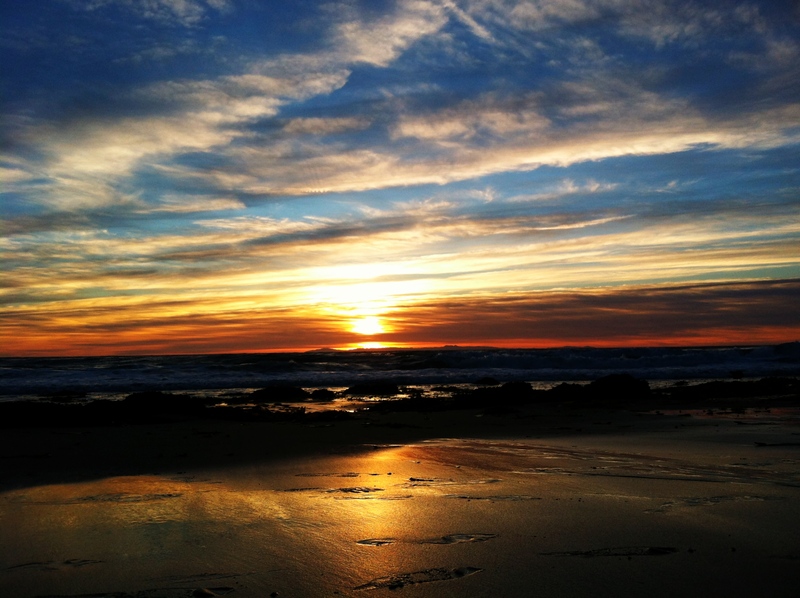 End your evening by watching the sun set over to the ocean. Because that’s why you came to California, right? This entry was posted in Breakfast, CA, Driving South, Eating, Good eating, Mexican Food, Sunsets, Sushi, Tacos and tagged California, Carlsbad, Cessy's Taco Shop, Costa Mesa, Harbor Island, Hotel del Coronado, Huntington Beach, i LOVE breakfast, Island Prime C Level, lots of driving, Mexican food, San Diego, San Kai, Southern California, Sugar Shack, Sushi. Bookmark the permalink.